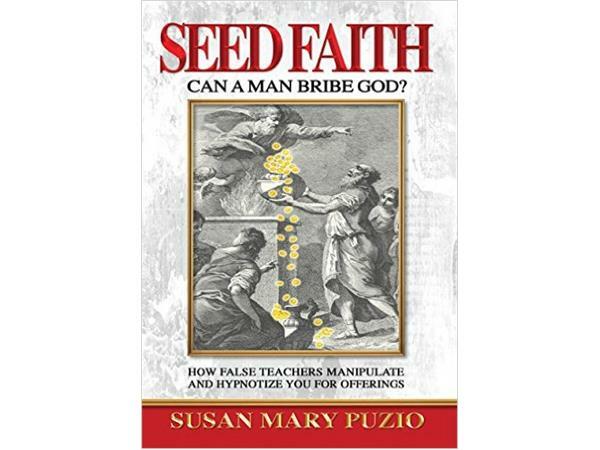 Susan Puzio was involved in the false Word of Faith teachings for over 15 years. She was shocked & dismayed by the blatant manipulation being used by these wolves to enrich themselves, without any real love for God's people. Selfishness & greed became rampant & still prevails today through much of the so called Christian television, where the beg-a-thons never seem to end. Masterful workers of iniquity hypnotize the masses with false promises of riches by bribing God through sending them offerings, which God never gets or needs. Susan Puzio documents the downfall of the Oral Roberts family, whose seed faith didn't work for, with chapters about Mike Murdock, Benny Hinn, the Copelands, Rod Parsley, T.D. Jakes, Morris Cerullo, TBN, Marcus and Joni Lamb, Paula White & many others. The Bible says, “Mark them who cause divisions! !” (Romans 16:17). We aim to bring real love back into the church of the Lord, Jesus Christ, where giving is not about us, but about others, for truly it is more blessed to give than to receive!